Compact, functional and very robust – that is and was our requirements for the development of this special dry ice blasting system. 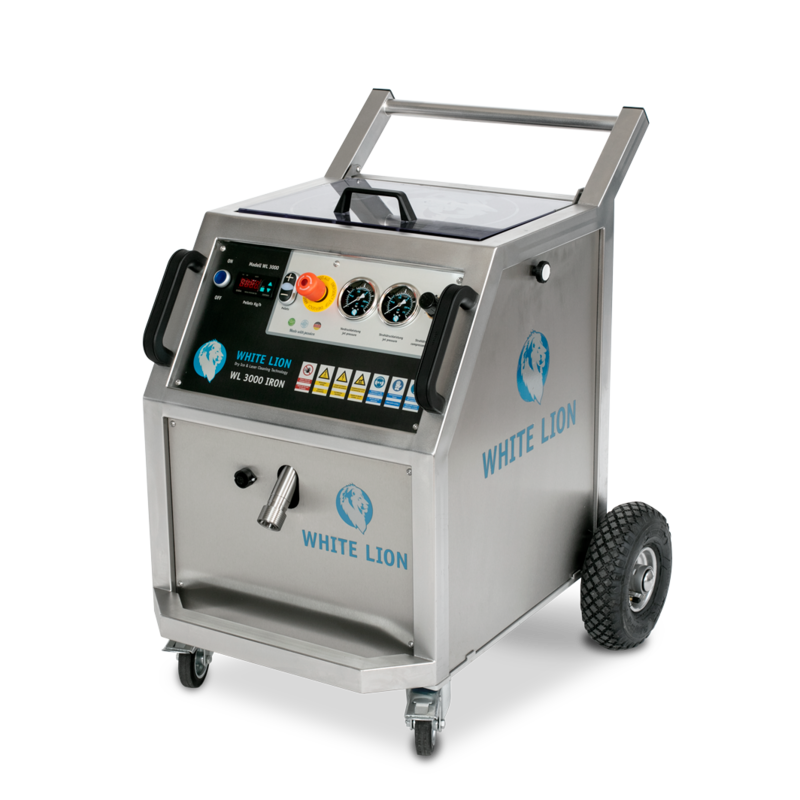 The White Lion 3000 IRON is equipped with a filling container with glass lid, large tires and a robust stainless steel casing with electropolished surface, the side walls are also made of stainless steel. 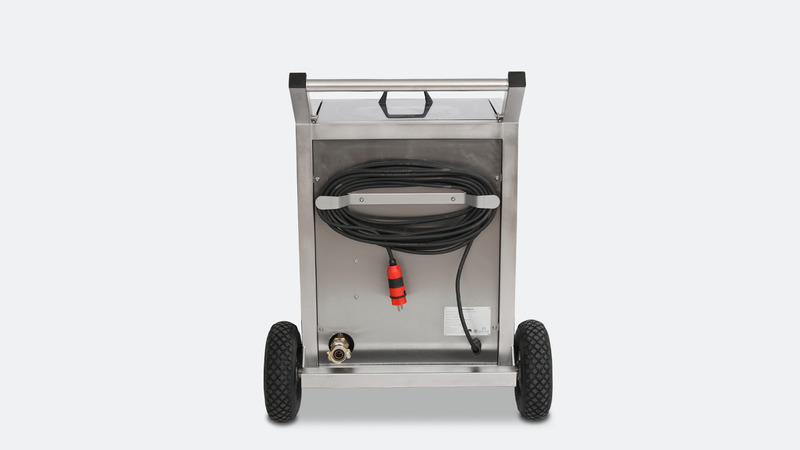 These highlights make this dry ice blasting system unique, economical and powerful at the same time. 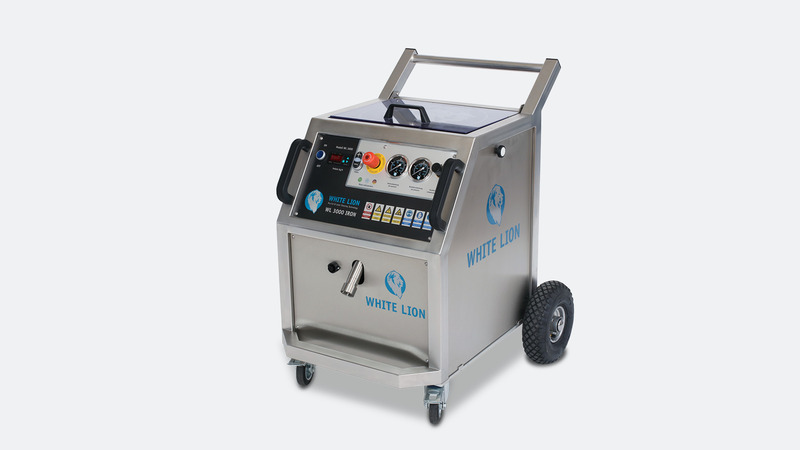 The dry ice blasting system WL 3000 IRON is a universally applicable mobile dry ice blasting machine for the technical cleaning of surfaces with a wide variety of impurities. Our successful WL 3000 series consists of three different variants, the WL 3000 Profi, WL 3000 Black Edition and the stainless steel version WL 3000 IRON. All plant types meet special requirements. The very high volume of dry ice pellets from 20kg / h up to 140 kg / h enables a fast processing speed even with intensive contamination with highest economic efficiency. The removal rate of the impurity is high, which is appreciated especially by our customers in the service industry. Find out more about the countless applications in our menu item applications. 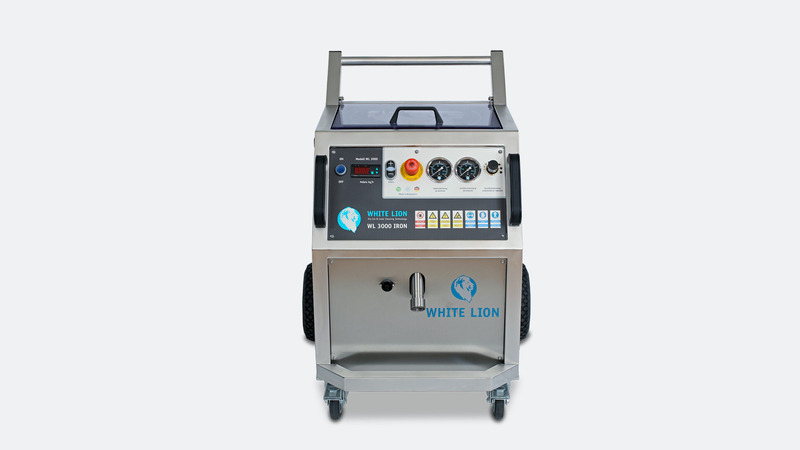 This dry ice blaster, like all White Lion machine types, is available in a variety of configurations and can be equipped with a wide range of accessories. Give us a call and let us advise you competently, so we can create your personal offer customised to your requirements. Blasting hose 10 m (with quick coupling system, anti-twisting-protection and resistant, replaceable PU hose film. 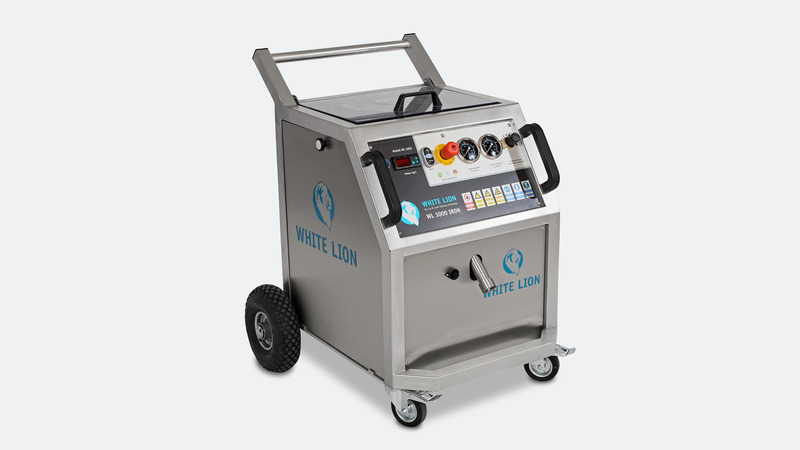 To develop and manufacture sophisticated and reliable dry ice blasting equipment is one thing – but to maintain it is quite another. Good maintenance of a dry ice blasting system often makes the decisive contribution to continued success in its application. Who doesn’t know that a failure is always inconvenient, and usually unexpected. 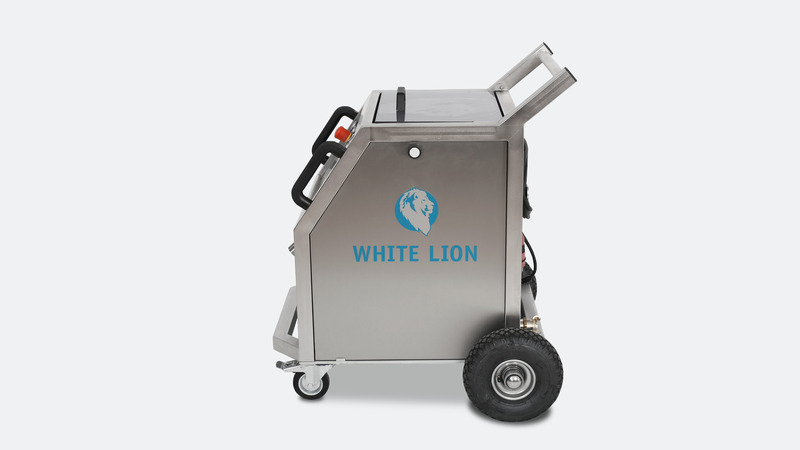 Our technicians ensure the highest levels of safety and reliability for our dry ice blasting systems. Maintenance contracts provide regular reminders when servicing is due – so your dry ice blasting systems are always up to date and ready for use.